The post roast- a classic, feel good food! 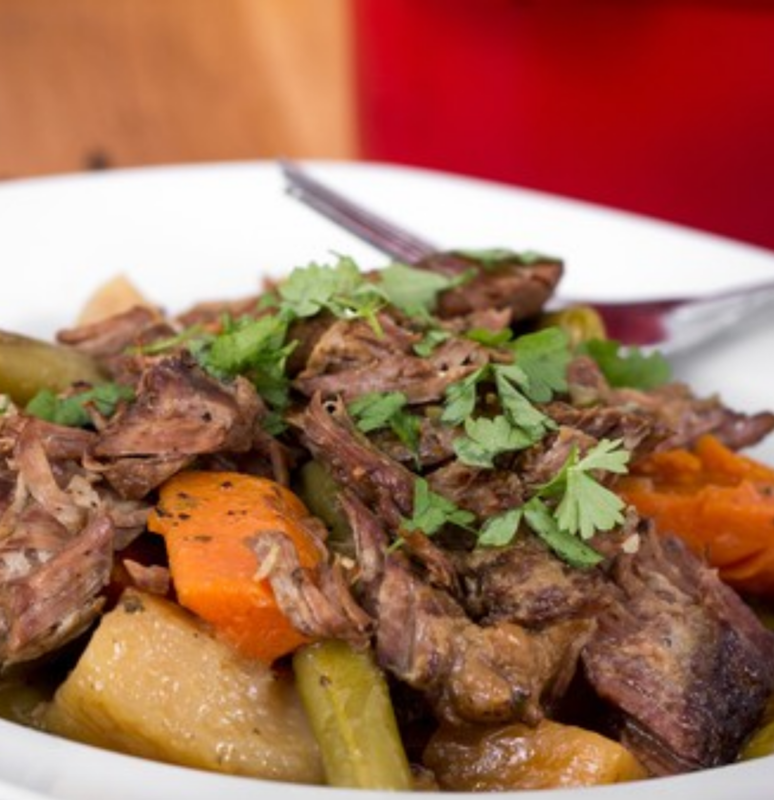 Whether you are hosting a get together or just having a quiet family dinner, the pot roast makes a great meal. Ori Hofmekler, founder of Defense Nutrition, shares his recipe for a guilt free, flavourful pot roast. Position a rack in the lower third of the oven and preheat to 325°. Heat about 2 Tsp of olive oil in a dutch oven over medium high heat. Sprinkle meat with salt and pepper, add to the pot and cook until brown on all sides (about 5 min/side). Remove and set aside. In the same pot add chopped onion, carrots, celery, and mushrooms, stir occasionally. When the onions are slightly transparent (about 3-5 min) add garlic and tomato paste and cook until fragrant, about 30 seconds or so (you don’t want the garlic to burn). Add bay leaf, thyme, chopped tomatoes, wine, and vegetable broth; bring to a simmer. Nestle meat on top of vegetables. Cover with parchment paper and lid; transfer to oven. After about 1 ½ hrs of cooking, turn roast and add potatoes and cook for another 1 to 1 ½ or until fully tender and knife easily slips in and out of the meat.